I’ve been chosen as part of V-Friends Season 3. Yaaaas ❤️❤️ I legit forgot about this after I signed up for it and just remembered it after I got the e-mail that I got in. So for the next few weeks, I’m gonna post more about k-pop as I do the missions that we’re given. For this mission, I have to review an Idol channel. My first choice was Super Junior as they’re my ultimate group. However, they don’t have their own channel and only posts through SMTown’s channel. My next choice is one of my fave girl group MAMAMOO!! 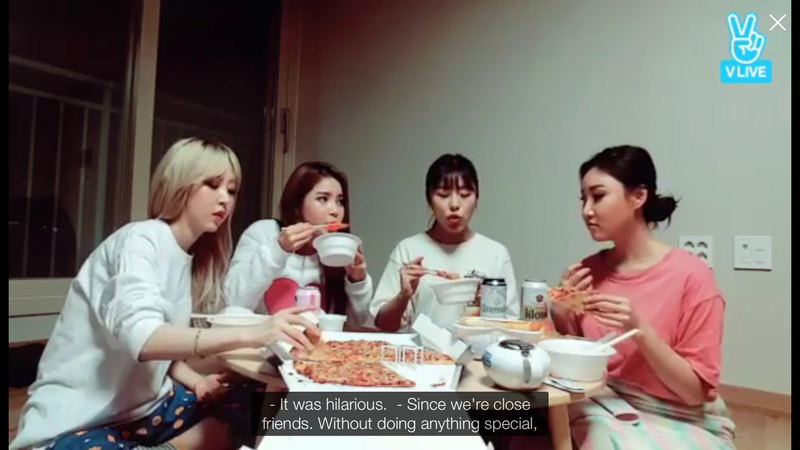 I first learned of Mamamoo through random Youtube videos that I’ve searched of with G-Friend. They’ve done a show before and I instantly fell in love with their quirkiness. I started listening to their songs and Um Oh Ah Yeh is now part of my top fave K-Songs. Watching Mamamoo’s videos on V Live is so refreshing. It’s like watching my friends telling me a really cool story on facetime. I’m not there with them but I feel like I’m part of what they’re doing. I’ve always loved their impromptu harmonies and everytime they do it on any videos, I instantly melt. They have such beautiful voices and they all ooze with talent and beagleness. Also, can we please just appreciate Solar? Look at this beautiful turtle. Her face is already painted weirdly but her smile still looks as pretty. If there’s a Top 5 most adorable face an idol have made, wouldn’t this face make it? Look at that adorable pout of Whee In. She was recreating a childhood photo and her face on this is just as much cute as the original one. Actually, if I don’t know any better, I would think that she’s the maknae of the group. But nope, here’s Hwasa, the real maknae, recreating hers. Can we also please just give Moonbyul a big round of applause just for existing? Like look at face. Our rapper is on fire on stage and a playful character off stage. If there’s one thing that I especially love about this group is their stage presence. Their photos and stage performances overflow with charisma and confidence. Their debut stage didn’t scream rookies, it screamed talent and success. Watching bts from their concerts kept me at awe on how these four quirky ladies can have such randomn personalities off stage. ❤️❤️ I guess that’s what makes them the beagles that they are. I really enjoy watching their V-live videos. Their personalities shine through each and every video that gets uploaded. I love the fun energy that they give off and the genuine interaction that they have with each other. These are girls who are real friends on and off camera. 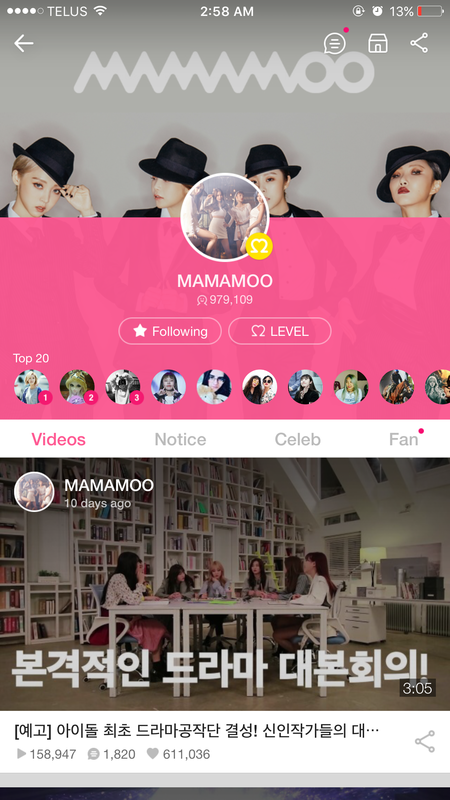 All photos are captured from Mamamoo and SMTown’s V Live channels.